Lenovo is joining Google’s fledgling effort to bring virtual reality to the masses with new devices planned for the Daydream hardware and software platform. 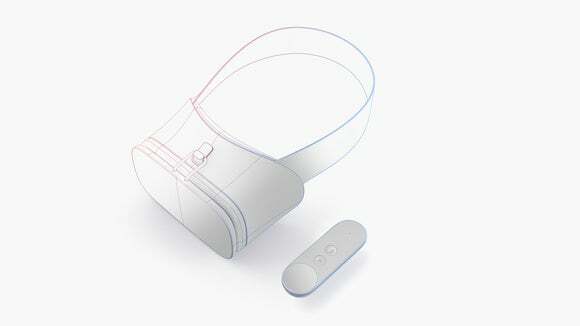 Google’s Daydream brings virtual reality to users via mobile devices. Users can fit Daydream-compatible Android smartphones in VR headsets to roam 3D worlds, interact with friends, and view streaming movies. “We have some Daydream products on the roadmap,” Jeff Meredith, general manager and vice president of Lenovo’s Android and Chrome Computing Business Group, said in an interview. Meredith didn’t elaborate on details, but the products will likely be a smartphone and a VR headset. Google has strict rules on which smartphones and headsets qualify for Daydream, which is based on Android 7.0. Lenovo’s handset will need super-fast mobile CPUs and graphics processors, a high-resolution screen, and specialized sensors. The VR headset will need motion trackers and other sensors. Android is important to Lenovo’s future, and the PC maker is working closely with Google on many projects, Meredith said. A Lenovo Daydream smartphone should not be confused with the company’s upcoming Phab 2 Pro handset, which will use Google’s Tango augmented reality platform. The Phab 2 Pro—which will start at $499—mixes real and virtual worlds by superimposing digital information and images, and it will have special cameras and sensors to recognize, track, and measure objects. No Daydream device is available yet. But mobile VR headsets like Samsung’s Gear VR and Google Cardboard have sold well, and the number of low-cost VR headsets available is growing. Companies building mobile devices for Daydream include Samsung, HTC, LG, Xiaomi, Huawei, ZTE, Asus, and Alcatel. Lenovo wasn’t part of the first batch of partners announced by Google introduced Daydream in May. Daydream will change the way mobile devices are used, propelling apps from a 2D to a 3D world. Users will be able to roam cities in 3D with Google’s Street View, play 360-degree interactive games, or view HBO or Netflix movies like never before.